Type 1 Treg cells are naturally occurring blood cells specialized to induce tolerance against environmental foreign antigens. Type 1 Treg cells have been shown to prevent autoimmune and chronic inflammatory diseases in experimental animal models (arthritis, colitis, multiple sclerosis, etc…). TxCell’s technology is based on the immuno-modulatory properties of these peripheral blood antigen-specific Type 1 regulatory T cells (Ag-Treg). TxCell proprietary manufacturing process uses a single peripheral blood sample from a patient, where cells are educated ex-vivo to specifically recognize a chosen antigen. Ag-Tregs are mass produced and multiple doses of treatment are stored frozen. The product is administered to the patient by intravenous injection. When Ag-Treg cells are re-injected, they home to the site of inflammation where they are activated by the specific antigen. These Ag-Tregs then act by releasing locally immune suppressive factors, cell-cell contacts and cytotoxic activity to treat the inflammation. TxCell’s strategy is to target niche for which there are few or no treatment options. TxCell’s lead product candidate is Ovasaves. A phase I/IIa study in refractory Crohn’s Disease patients has been successfully completed and reported positive clinical efficacy and good tolerability. A phase IIb placebo controlled study is currently ongoing. TxCell’s second product candidate is Col-Treg, targeting Autoimmune Uveitis, a rare disease with very limited treatment options. A phase I/II proof of principle clinical trial will start soon. 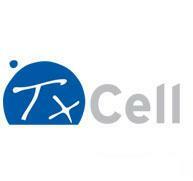 Based in Sophia-Antipolis, TxCell is a biotechnology company founded in 2001 as a spin-off from the INSERM (Institut National de la Santé et de la Recherche Médicale). TxCell’s technology is based on the pioneering work of the founding scientist, who co-discovered in 1997 the type 1 regulatory T lymphocytes. Management Team is composed by Damian Marron (CEO), Miguel Forte, Arnaud Foussat, Raphael Flipo and Eric Pottier. Board of directors is composed by François Meyer, Marie-Laure Garrigues, Bernard Daugeras, Emmanuel Fiessinger, Marie Landel, Laurent Arthaud and Laurent Higueret. 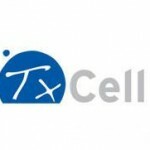 TxCell has been funded by private funds for a total of 36.8M€ invested through three rounds of financing by Bpifrance (Innobio), Seventure Partners, Auriga Partners, Innovation Capital and AXA Private Equity. This entry was posted in Biotech Companies, Biotech Companies France and tagged Ag-Treg, Ag-Tregs, antigen specific regulatory T-cell, antigen specific regulatory T-cells, antigen-specific Type 1 Treg cell, antigen-specific Type 1 Treg cells, Arnaud Foussat, arthritis, Auriga Partners, autoimmune, autoimmune diseases, autoimmune uveitis, AXA Private Equity, Bernard Daugeras, Bpifrance, Bpifrance Innobio, chronic inflammatory, chronic inflammatory disease, Col-Treg, colitis, Crohn, Crohn’s disease, Damian Marron, Emmanuel Fiessinger, Eric Pottier, François Meyer, immune modulatory, immuno-modulatory, Innobio, Innovation Capital, INSERM, Institut National de la Santé et de la Recherche Médicale, Laurent Arthaud, Laurent Higueret, Marie Landel, Marie-Laure Garrigues, Miguel Forte, multiple sclerosis, Ovasaves, phase IIb placebo controlled study, Raphael Flipo, Seventure Partners, severe chronic inflammatory diseases, T cell immunotherapies, T cell immunotherapy, TxCell, TxCell - antigen-specific Type 1 Treg cells, Type 1 Treg cell, Type 1 Treg cells, uveitis by Biotech365. Bookmark the permalink.